The landscape has changed—dramatically. It may be time to get familiar with the new terrain. You may be wondering if there's a better way to serve your clients and your future. And there very well could be. Sometimes it takes a different approach to get different results. The good news is you can move beyond the status quo. Sometimes you need to stop and take an objective view of your business life. Can you enhance the client experience? Gain greater control? Maximize the value of your businesses and optimize growth? As one of the nation’s leading financial advisor recruiting firms, we’re known for helping advisors like you dig deep and find the answers to those questions and more. If you’re ready to make a change, or simply curious, allow us to provide you with unparalleled access to the universe of opportunities and customize a solution to your individual needs. Our guidance is confidential, and without obligation or cost. Recent news, updates and advice from our blog for financial advisors and business owners. There are plenty of advisors who want to go independent but stuck wondering: What would it take to setup the business? What do I need to know about platforms and technology? Where do I even start? 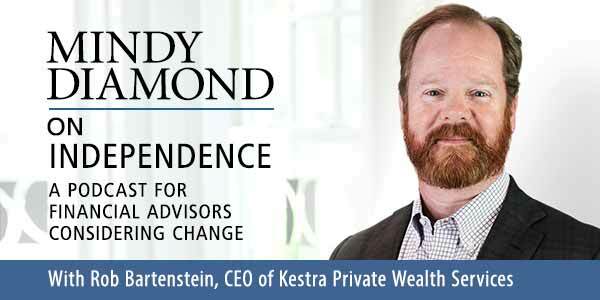 It’s questions like these that are being answered by RIAs like Kestra Private Wealth Services (Kestra PWS)—a perfect example of a firm born to support a growing need for full-service paths to independence.